Do you "like" retargeted ads? People who wished for creepier, more intrusive Facebook ads are in luck. The social media site will soon launch ads based on your everyday web browsing. The new ad initiative is dubbed Facebook Exchange, and will allow advertisers to bid on real-time ad space using your browser cookies. For example, if someone visits a travel site but doesn't purchase their trip, the next time they visit Facebook there could be ads for discounted flights and hotels to their desired destination. Because advertisers will bid on the ads in real-time, it could allow for highly specific and time-sensitive ads, such as reminders for a show about to air on TV. Facebook Exchange will begin rolling out to users in the next few weeks. In the travel example, the travel site will leave a cookie in your browser containing an anonymous user ID. Then, it would send that ID along to Facebook. The next time you log into Facebook advertisers will be notified based on your cookie IDs, allowing them to bid on your Facebook ad space in real-time. Now that the Facebook's stock has gone public, the social media giant is investigating new ad models to please investors. Facebook Exchange is one such venture, though advertisers will still be able to purchase ad space based on profile demographics. 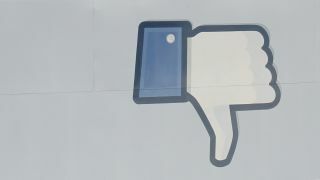 Facebook says that it will not share any user data with advertisers as part of Facebook Exchange, and all users will have the choice to opt out in their account settings.